We usually recommend that you wait and book your tours through reception. We can try and predict the best weather day for your activity. Beautiful scenery – it’s a wonderful place to enjoy the beauty of nature and put the demands of busy lives in perspective, including our 23 beaches and bays. Every 2nd SATURDAY and last SUNDAY of the month* Magnetic Island Community Markets are held from 9:30am-2pm on the foreshore in Horseshoe Bay. You'll also find the Friday Night Markets at the RSL and Hotel Arcadia and additional markets during island events and festivals. (*Some seasonal variations occur. See the list of dates on the notice board at the bottom of each stairwell. Markets often can also close in January and recommence in March - just ask us). Aquascene - Snorkeling and fishing Magnetic Island 360 degrees. Circumnavigate Magnetic Island. Bay hop, fish feed, snorkel and fish. Full day and half day options are available. Snack, snorkeling/fishing gear/stinger suits included. Excellent local guide/operator. Exclusive to Island Palms' guests - get picked up from our Reception and Neil or Colin will share their excellent island knowledge with you. Travel in their bus in air-conditioned comfort. A great tour to pre-book and possibly do on your first day after check-in. Operates daily subject to load. Magnetic Island's very own "Greatest Little Show on Earth"! Stage Door Theatre Restaurant has been wowing audiences since 2005 with beautiful live singing, hilarious comedy and tongue in cheek impersonations. Dazzling costumes and orchestral backing tracks add to the theatrical experience that has won them “Best Attraction on Magnetic Island”. View the current year's shows & Book online. If you like walks you have come to the right place - there are plenty to choose from. Ask us for a map and explore The Forts, the round trip of Arthur Bay, Florence Bay, Radical Bay, Balding Bay and Horseshoe Bay, or head out to lookouts such as Hawkings Point - which is a stroll up the beach and between Nelly and Picnic Bays. Gabul Way links Nelly Bay near the IGA roundabout (near the ferry terminal) to Geoffrey Bay and Alma Bay (Arcadia). This walk has some excellent views across Cleveland Bay and is easily accessible. Hotel Arcadia is also at the end of your journey if you need some sustenance after your walk. 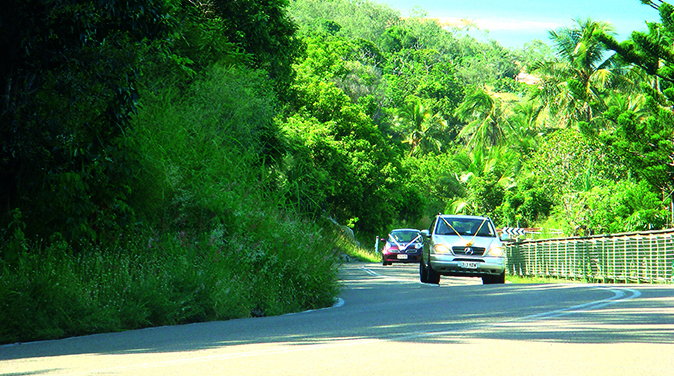 You can't go past the quality and vehicles and great rates for our resort guests. Visit our car hire page for daily and weekly rates. Set sail on a beautiful 58 foot sailing yacht! Pilgrim Sailing runs a variety of sailing trips around Magnetic Island for everyone to enjoy! Operates in our waters between May to September. Lunchtime or Sunset cruises, or a round the island cruise. Head over to Horseshoe Bay Ranch at Horseshoe Bay. Walk your horse through the waters of the bay (subject to your horse’s co-operation!). 2 hour bush‘n beach rides depart at approx. 8:30am and 2:30pm. Enjoy the scenic beauty of Horseshoe Bay and its wildlife, beach, lagoon and hinterland. It's been going since the 1960’s - Toad Races, 8pm for 8:15pm start. Hotel Arcadia - drive, catch the bus at your doorstep or enjoy a walk along Gabul Way to Arcadia. Unlike our northern cousins, there is no entrance fee, just what you bet. 8 toads per race, 2 races. You bid for a toad. All proceeds are donated to Magnetic Island community groups. What more can we say – it's an island institution, an absolute must! With Adrenalin Jet Ski every week we get a thrill seeker or speed nut that wants to try this adrenalin adventure. Add circumnavigation of an island to your thrill-seeking resume! 3 hour guided tour. Or try their 90 minute 'Top End Tour'. Combined weight limit 240kg. An 8yo+ can drive if they share a ski with an adult. To drive solo, you must be 16yo+. Enjoy a Bush Tucker Breakfast at BUNGALOW BAY in Horseshoe Bay and learn more about some of our country’s native critters. Sunday, Wednesday and Friday – Bookings essential. Phone 4778 5577, or do the Koala Sanctuary tour, daily at 10am, 12noon or 2:30pm. Just turn up any time between 9:30am-4:30 daily at 6-10 Eleena St, Nelly Bay. It's a 20-25minute walk from Island Palms Resort. See hundreds of 'Nemos' and feel the amazing texture of a living giant clam mantel while inquisitive clown fish nibble your fingers. Kids big and small love it!! Like to see some fantastic old photos and read some great stories of the Island? Visit this volunteer-run center is on Granite Street next to Police Station in Picnic Bay. Open 10am-2:30pm daily (except Tuesdays). (The center closes annually after Australia Day weekend and re-opens for Easter). Paddle your own kayak (or share a double kayak), led by an experienced and qualified guide. Departing from Horseshoe Bay, drift over sea grass beds and coral gardens. Sea Kayaks was the island’s first advanced ecotourism certified tour. No experience necessary as full instruction is provided. To the left of reception, walk along the Nelly Bay Harbour break-wall on dusk—head to the rock wall near the helipad, to see our local community of rock wallabies. They’re timid so keep the noise down and don’t try to get too close to them. If you have a car (or take a bus) head to Arcadia and walk along the old barge road at Geoffrey Bay where plenty of rock wallabies there any time of the day (and possums after dark). Take some bread to feed the large Diamond Backed Mullet. Please DON’T give bread to the wallabies or possums even if you see others doing it—it will eventually kill them! What else is on Magnetic Island? 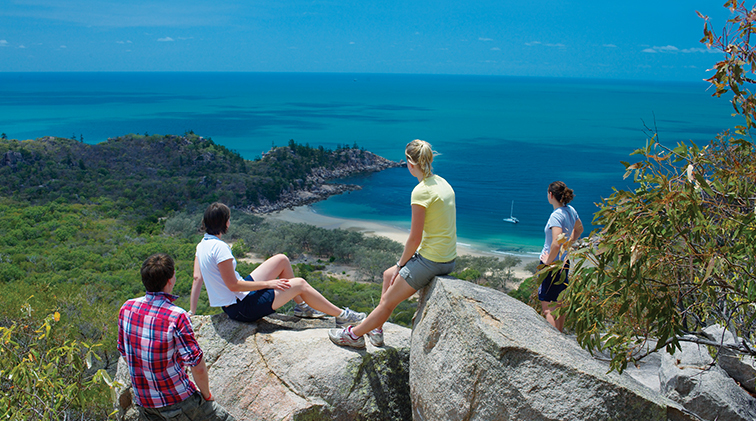 If you need more information on what to do while you visit the island check out whatsonmagneticisland.com.au It's our local event website that also has lots of handy information that will make your stay a real adventure! You can also download the 'Top Things To Do' list and check out the Annual Events page to make sure you don't miss out on the Magnetic Island Bay Dayz Festival (Sept-Oct) and other excellent island festivities. Going to Townsville for the day? Get your tickets for the award winning Reef HQ before you go - an easy 10 minute walk from the Breakwater ferry terminal. Strand Water Park - most of you with children spy it on your taxi ride from the airport to the ferry! Just remember it’s closed every Tuesday and Wednesday (but open daily during Qld and NSW school holidays).